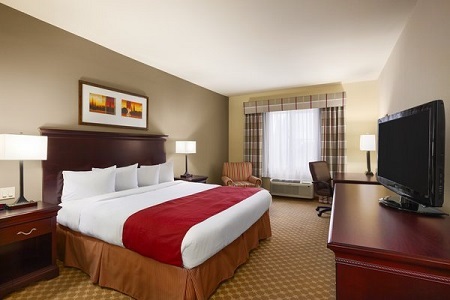 Pull off of Texas 6 and settle into your spacious room or suite at the Country Inn & Suites® by Radisson, College Station, TX. Cheer on the Aggies at Kyle Field or catch up with your favorite student at Texas A&M University, just 11 minutes from the hotel. History buffs love visiting the Brazos Valley Museum of Natural History, and the whole family can find fun at Grand Station Entertainment. If you’re in town to support an ailing family member or friend, stay close to Baylor Scott & White Medical Center – College Station, less than three miles away from our hotel in College Station, TX. 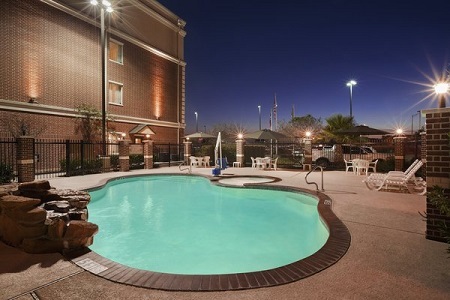 Cool off from the hot Texas sunshine with a refreshing dip in our spacious outdoor pool. You can lounge by the water with a book from the Read It & Return Lending LibrarySM, or surf the Web poolside with free high-speed Internet access. 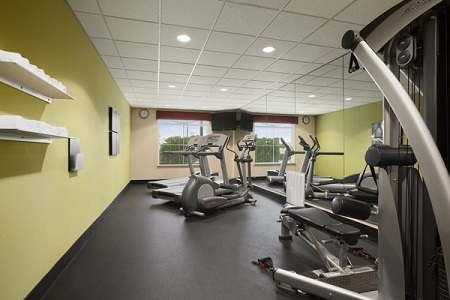 Health enthusiasts can take advantage of our well-equipped fitness center complete with an elliptical, a stationary bike and weight machines. If you need to finish up some work, take advantage of the business center for your printing, faxing and copying needs. 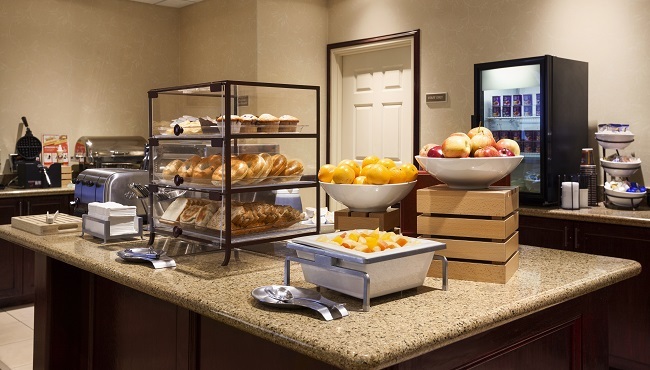 Enjoy fluffy homemade waffles, warm biscuits, oatmeal and more at the free, hot breakfast. For lunch and dinner, try a nearby restaurant like BJ's Restaurant & Brewhouse for mouthwatering burgers, pasta, tacos and more. Texas A&M University – Cheer on the Aggies, take a tour or visit students at Texas A&M University, just 11 minutes away. Spend an afternoon wandering the beautifully manicured 5,200-acre campus or perusing the artworks on display at Forsyth Galleries. George Bush Presidential Library and Museum – Head just over six miles west to explore the life and work of our nation’s 41st president, George H.W. Bush. You won’t want to miss seeing pieces of the Berlin Wall or the replica of the Oval Office on display. Post Oak Mall – Travel four minutes north to Post Oak Mall to pick up a new outfit at Dillard’s or have dinner at Chuy's. Need a gift to take home? Find something special at Christie’s Jewelers. 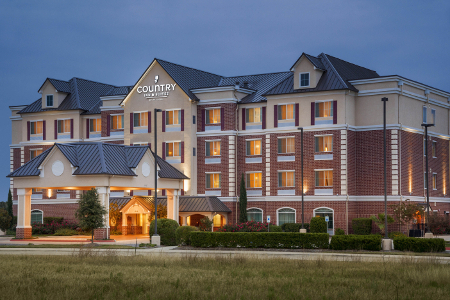 Read more about our hotel’s College Station, TX location. Host your next bridal shower, birthday party or business seminar for up to 60 guests in our flexible meeting space. Take advantage of free high-speed Internet access, an LCD projector and complimentary refreshments to ensure your event is a success.